Pro-Ject Launch New Phono Stages! Pro-Ject Audio Systems, the Austrian manufacturer of multi-award-winning hi-fi record players and electronics, are recognised around the world for their devotion to analogue stereo systems. Their commitment to the platform has now seen them sell over 500,000 of their legendary Phono Box phono stages; so to mark the milestone the company are releasing their first op-amp-less phono stage, and it’s available in two different versions. 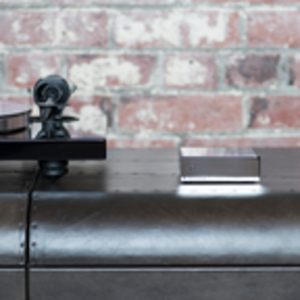 The Phono Box S2 Ultra is like no other phono stage in its segment. Punching well above its weight for sound quality, it replaces the popular Phono Box DS and DS+ models in the Pro-Ject range, and still manages to boast an array of features for easy pairing with any modern cartridge. The inspiration for the Phono Box S2 Ultra came from an investigation by the Pro-Ject design team into alternative phono stage technologies. Investigating how best to celebrate such a momentous milestone as 500,000 units being sold, the design team set about also developing a special edition phono stage, unveiled at the same time as the Phono Box S2 Ultra. The Phono Box Ultra 500 makes use of the same technologies as the Phono Box S2 Ultra, with its fully discrete layout and precise RIAA equalisation. Where it makes a further, unique leap forward is in the chassis. Finished with a striking chrome surface, the chassis is made from copper for its heightened ability to protect against high-frequency interferences. Supplied in a wooden display box and limited to 500 pieces worldwide, the Phono Box Ultra 500 is a true prestige piece. The Phono Box S2 Ultra and Phono Box Ultra 500 will be on display with Henley Audio at The Bristol Hi-Fi Show 2019. See us in Room 416, 418, 420 and The Bristol Suite.